In our AMD Radeon HD 6990 4GB review, we bemoaned the fact that using the card's Antilles automatic overclock switch would void the card's warranty. However, XFX's UK sales manager Gavin Pitt has confirmed to us that XFX will honour the use of the switch, which enables the card to use a second overclocked BIOS, under its standard warranty. Speaking to bit-tech, Pitt said 'I'm proud to say that, as part of our going support and dedication to both AMD and the gaming consumer, XFX will warranty the 880MHz OC usage as per our usual RMA terms, as long as there is no consumer induced damage etc, as per our usual terms and process for RMAs. Being the first AMD board partner to cover the use of the unlock switch is something of a coup for XFX, and this decision also leaves the door open for other AMD board partners to similarly extend their warranties. 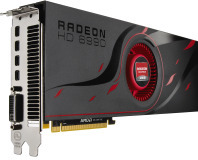 AMD has previously stuck to its guns regarding the Antilles overclocking switch, shipping all Radeon HD 6990 4GB cards with a yellow sticker over the Dual-BIOS switch, which advises owners that enabling the overclock will void their card's warranty. The overclock itself amounts to a fairly minor GPU core frequency increase of 50MHz, along with an extra 0.055V added to the vcore of each GPU. Should AMD's warranty have covered the Antilles switch as standard, or are you just pleased that AMD's board partners are stepping up to cover cards regardless. Let us know in the forums. 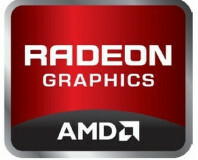 AMD's new range of 28nm GPUs is rumoured to be geared up for an early December release. AMD's new Antilles-powered, dual-GPU graphics card is a monster, but does CrossFire still misfire? 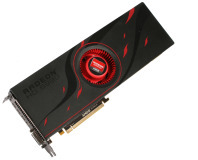 AMD's new high-end graphics card pushes Eyefinity in a big way.